When your freedom is at stake and your rights are in jeopardy, call Robert L. Marshall. Have you been arrested? Are you under investigation for a crime? Call Robert L. Marshall, Attorney At Law before you talk to the police or make a mistake that could cost you your freedom. With your future on the line, make sure you have a reliable and aggressive attorney in your corner, fighting to protect your rights every step of the way. 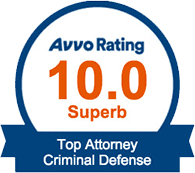 Our Chico criminal defense attorney understands the justice system you are up against and knows what’s at stake. At Robert L. Marshall, Attorney At Law, we take on all types of criminal cases, including charges of violent crimes, sexual offenses, DUI, theft, and drug crimes. Our firm can even represent you in your efforts to expunge your past criminal record. In all of our endeavors, we remain focused on helping you turn the page to the next chapter so that you can get a fresh start and move on with your life. One incident does not have to define your life – retain Robert L. Marshall, Attorney At Law to protect your future. Contact us online or call (530) 405-2944 to get started on your case today. We are available when you need us, 24/7.  Known and respected by lawyers throughout the state, Bob Marshall is highly rated by peers and is a member of the Board of Governors of California Attorneys for Criminal Justice. 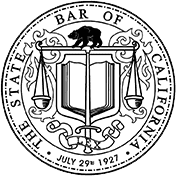 Focusing his practice exclusively on criminal defense, he has maintained a passion for defending the rights of Northern California’s criminally accused for 20 years. Founded in 1999, Bob’s firm remains a force to be reckoned with. Bob has earned a reputation for aggressive representation, effective defense strategies, and favorable case results. Assault with a deadly weapon and great bodily injury. DUI with blood test of .15% reduced to wet reckless. No DMV suspension. Nursing home owner accused of abusing elderly resident. Prosecutor said our thorough investigation helped convince him not to file charges. DUI with breath test result of .13. No DMV suspension. DUI with breath test of .14% reduced to wet reckless. No DMV suspension. Client accused of trying to run a motorcyclist off the freeway. The prosecution's main eyewitness was a Butte County Superior Court judge. Fighting For Your Freedom & Rights We are available 24/7! Wrongly accused or made a mistake? Robert L. Marshall, Attorney At Law can help either way.